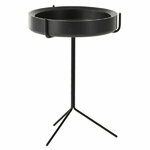 Drum table is available in three sizes. 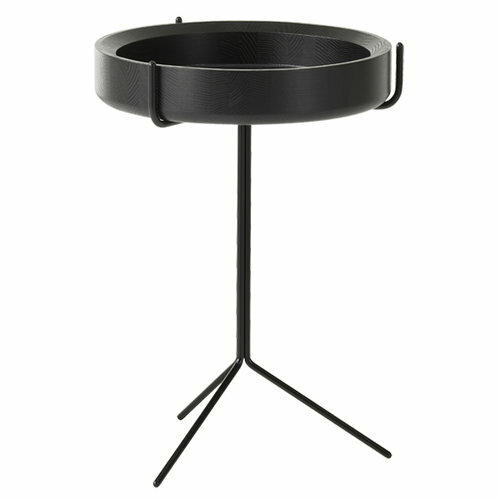 The table top is actually a wooden bowl that rests on a steel base. 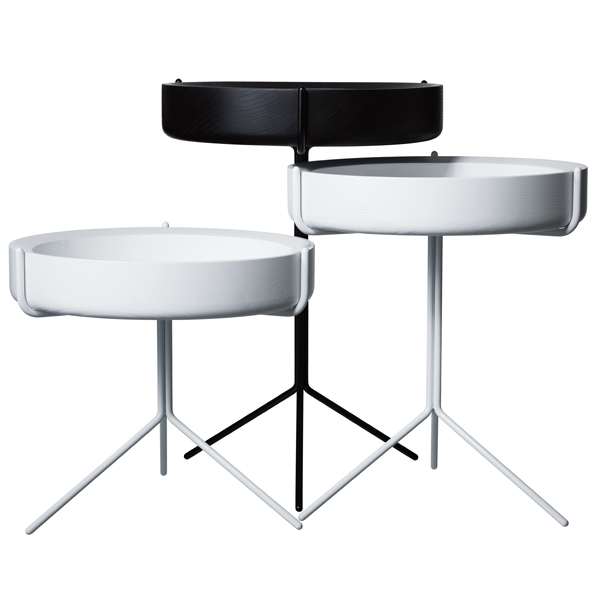 The Drum table is designed by Corinna Warm. The German designer Corinna Warm (b.1978) moved to London to study product design in Saint Martins College. After graduating in 2002 she worked in Milan and London before she established her own studio, Warm, in 2007. 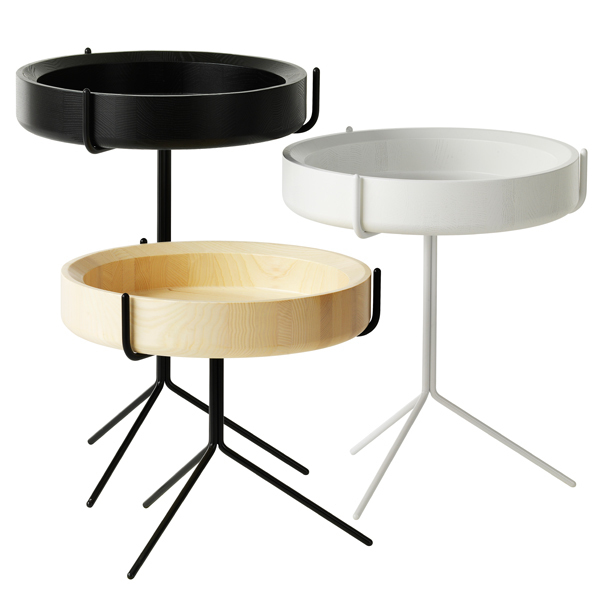 The products designed by Warm are simple, with natural forms and made of natural materials. They however often contain some kind of surprise. Unlike a lot of her colleagues Warm does not design primarily a computer for designing, but works close to talented craftsmen.